Divorce Archives | How Do You Do It? 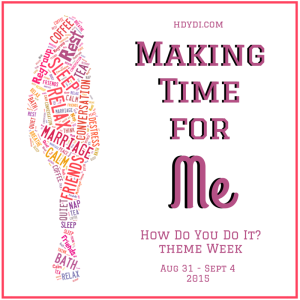 As a single mom who shares physical custody with my girls’ father, there is one comment that I hear quite often that makes me cringe: “Well at least you get some time for yourself!”. This comment comes after someone hears some of the basics of my story and finds out that dad is back in the picture and has visitation on a regular basis. My general sense is that people feel sorry for my situation, and feel relieved to know that my life is not quite as bad/crazy as they initially imagined. And while I sincerely believe that these people mean well (I have gotten this comment from several people that I consider close friends and even family), the reality is that I do not feel that way about my time away from my children at all. Let me start by saying again that I know that the people who make this comment mean well. My hope is that by sharing my story, I can help some people to better understand what it is like to be in a joint custody situation when the relationship between co-parents is far from friendly. There are two main factors that make my children’s time with their dad different from, for example, a regular babysitter who watches the kids while the adult runs errands or has some “me time”: 1) I don’t trust or like the person they are with, and 2) I didn’t choose to get someone to watch my children- I was required to do so by court order. There are a lot of people, myself included, who end up sharing physical custody of their children with someone they do not trust for legitimate reasons. While I doubt there are many who would say they like their ex-spouse, many who share custody would still say they trust their ex as a parent. In my case, I know that the time my children spend with their dad is emotionally damaging, but I don’t have the kind of proof that a court would need to keep them from spending time with him. And so I send them, week after week, to a person that I do not believe is keeping them safe and healthy. Not to do so would mean risking the time that I do have with them, so I do my best to give them the emotional and psychological tools they need to become healthy, strong young women, in spite of it all, while they are with me. Because of these factors, I don’t consider the time my children spend with their dad to be “me time”- that time is not rejuvenating. While I have learned to accept the situation and feel confident that I am giving my girls the best situation I possibly can, I still feel better when I am with the girls than when they are with their dad. When they are with him, I try to spend as much time as I can working, running errands, or helping someone else so that I can keep my mind off of everything and be more available to the girls when they get back. I do make time for myself, but it is when the girls are safe and sound in their beds with me, not when they are visiting their other parent. So the next time you find yourself talking to someone who shares custody of their children, take a moment to put yourself in their situation and consider if the time they have away from their children is actually helpful or not. In some cases the answer will be yes, but sometimes that may not be the case. I hope my story will help more people understand each other better, and make us better equipped to help and support each other as parents in all walks of life. Have you blogged about mommy time on your own blog before? Are you inspired to do so now? 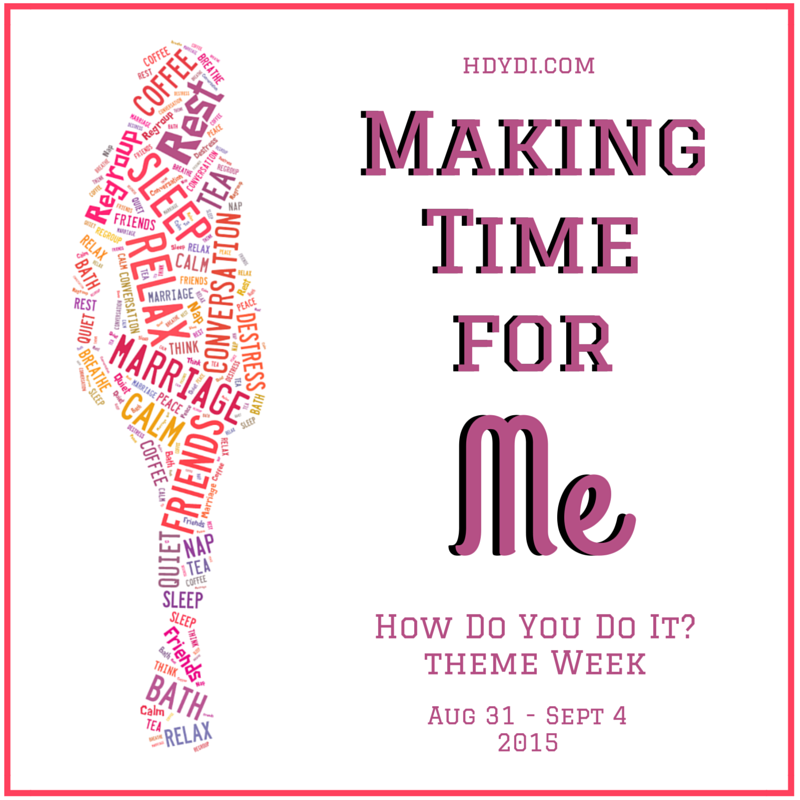 Link your posts at our theme week link up! We’ll do our best to share them on Facebook, Pinterest, and Twitter with the hashtag #metime. Yep, I’m one of those people. I love mornings. I love the calm anticipation that it often holds, and I love the feeling of getting a head start on my day before everyone else. 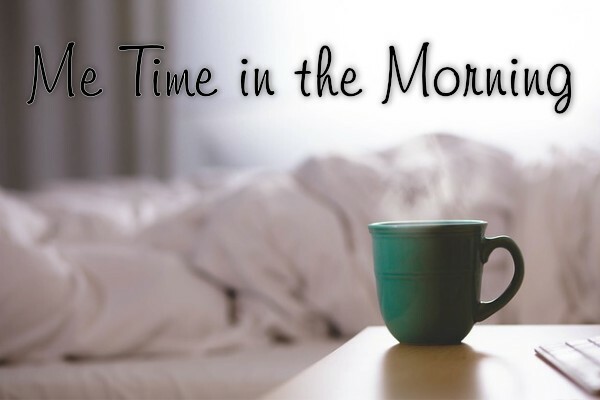 I know that mornings have fallen out of favor with a lot of people recently, but I’m here to tell you about some of the reasons I get up early to have some time to myself every day. First a little background: I’m a single mother with twin girls who are currently 3.5 years old. I am a full time music teacher in a public school and also run my own online business. I am also an introvert and a homebody. Because of all of these factors, having some quiet time for myself is essential to my ability to function with a positive attitude each day. There are 3 reasons why I think having some “me time” each morning makes a huge difference for me: 1) my brain has time to process everything from the previous day, 2) I can think through and prepare for the upcoming day’s responsibilities, and 3) I can start the day feeling more in control. I have a lot of stress in my life. I work in a Title I school with a lot of behavior problems. Communication with the girls’ father is full of conflict. My girls are both 3 years old. Did I mention I have two 3 year old’s? Often when I try to deal with problems that come up during the day before going to sleep, I don’t respond well. When I give my body rest and my brain a chance to process everything, I usually find a much better perspective or solution the next morning. Getting up early for some time to myself, rather than staying up after the girls go to bed, allows me to deal with life’s ups and downs in a healthier way. I know that, in theory, this can be done at night. And if you are a night owl rather than an early bird, it is probably completely effective for you to get ready for the next day the night before. But if I try to get ready the night before, I always miss something. My brain and body are shut down by the time I get the girls in bed- there is no organized or logical thinking happening! By getting up early enough, I have time to think through my responsibilities for the day and make sure I am ready before the girls wake up. For me at least, even when I am able to effectively prepare the night before, I find that I don’t remember everything I had set up by the next morning. Doing everything that morning gives me a better chance of remembering what I had planned the rest of the day. There’s something about setting an alarm, and waking up when it goes off, that makes me feel more successful. Maybe just that small success of getting out of bed while others are still sleeping is enough to make me feel like I am capable of following through on my decisions. Having time to sit with a cup of coffee, reflect on the previous day and the day ahead, and calmly prepare for the day helps me to feel like I am in control of my life and that I am equipped to deal with whatever challenges may come my way. Are you a night owl or an early bird? 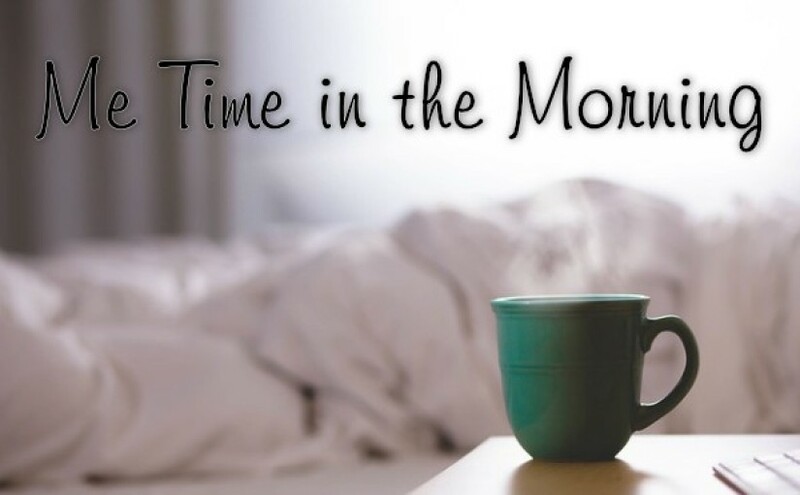 Do you take time for yourself in the mornings? I really believe that taking that time, even when I would rather sleep in sometimes, makes a big difference in my ability to handle everything life throws my way. What do your mornings look like? Share your thoughts in the comments below. Four years ago, we were preparing to send our children to kindergarten when my soldier husband received orders to move over 500 miles away. We had about 2 weeks to uproot and move, departing the day before the children were to have started school with the children in the neighbourhood. We even knew their assigned teachers’ names. This is fairly typical for military families, but not for us. In my 9 years as a US Army fiancée and wife, this was the only PCS (permanent change of station) I moved for. While my husband went on overseas tours (two to Iraq, one to Afghanistan, and one to Korea), I had stayed put. I figured that my run as an enlisted wife with a career was over. I prepared to hand in my two week notice. Instead, my employer offered to keep me on as a full-time telecommuter indefinitely. I jumped at the chance to keep a job I loved while keeping my family intact. 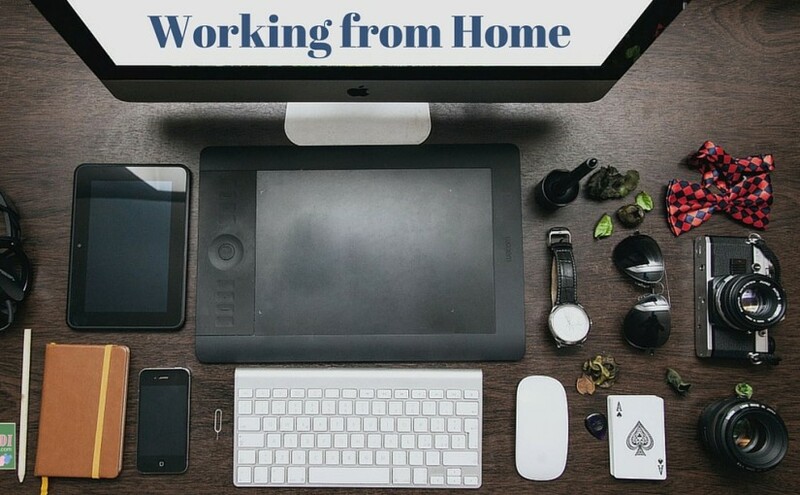 Instead of spending 45 hours a week in and around the office, I would be working from home, making myself available through email, join.me, Google Chat, instant messenger, and telephone. I took a couple of weeks of leave to pack and rent out our house, find a place to live, make the move, deal with an unrelated family crisis, and unpack. I initially intended to put my daughters in an after-school care program so that I could work from as I had from the office, knowing that my children were well cared for. However, it turned out that El Paso childcare culture wasn’t one I could get on board with. The one after-school program I could find that met my hygiene requirements was untenable. The children ran mostly unsupervised and were fed candy and soda. I couldn’t bear to allow my children to continue there after the first few weeks brought no improvement. I made the previously unthinkable decision to work full time without childcare. I know that many parents work full time from home with children underfoot. For me, the nature of my work, my parenting priorities, and my own nature wouldn’t have been able to make it successful if the children weren’t in school for a good part of the day. However, with kindergarten in the mix, the schedule worked out. 6:45 am: Put the children on the school bus for an unnecessarily circuitous but serendipitously long bus ride. 7:00 am: Get online and start work. Thanks to being just over the time zone boundary, this is 8 am at work. 1:45 or 2:30 pm: Take a late “lunch” to drive to school and retrieve the children. This got a little squirrely while the kids were in different grades and got out of school at different times, but we made it work. 3:15 pm: Get the children set up with a snack and craft. 3:20 pm: Get back to work. 4:00 pm or 4:45 pm: Sign off for the day. Snuggle with the girls and thank them for being so mature. 8:00 pm: Send the children to bed and prep a crafting project for the following day. Take care of housework and try to prop up my failing marriage. I lucked out, between my incredibly supportive coworkers, the time difference, public kindergarten, the long bus ride, and my daughters’ maturity. I was especially grateful to have kept my job when, 7 months after our move, my husband left me. 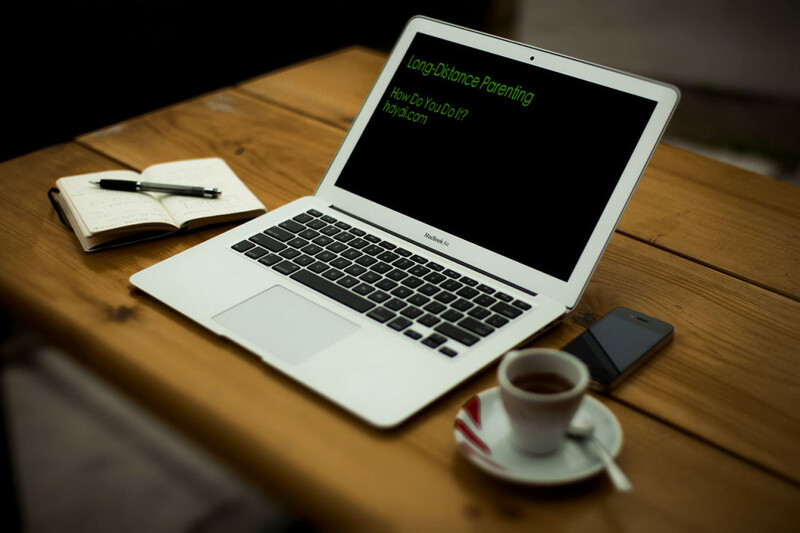 Thanks to working from home, I had a career, salary, and community to fall back on. I will be ever grateful to my team’s faith in my creative scheduling and commitment to my job. My husband L is a US soldier. This means that he’s overseas, 15 months at a time, about every other year. Right now, he’s living in Korea. We have seven long months left before we get to see him again. He misses me and the kids, of course, and we miss him terribly. Because of L’s frequent absences, people sometimes refer to me as a single mother. It usually comes in the form, “Wow, your kids are wonderful, but they’re a handful, and to think you manage as a single mother!” I accept and appreciate the compliment. I object to the label. I take exception to being called a single mother because it’s disrespectful. It’s disrespectful to L, who is an involved, and loving father. It’s also disrespectful to all the single parents out there. I certainly couldn’t pull off single parenthood! Because L’s job takes him away from us about half the time, I do tend to make the day-to-day decisions in raising M and J. However, whenever possible, we make decisions together. If I can’t contact L before I have to make a decision, we’ll discuss it afterward, and adjust as needed. Even for the tiny things that don’t merit discussion, I take into account our joint philosophy on parenting, not just my own opinions. I would have never had children by myself, or with anyone other than L. He gives me balance. He makes me a competent mother, even when he’s geographically distant, by caring as much about our children’s well-being as I do, by being their advocate, by letting me know when I’m doing things right, and showing me how to do them better. To call me a single mother implies that I do not raise my children in partnership with my husband. I recognize that there are plenty of parents out there who are no longer in a romantic relationship or marriage with the other parent of their child, but still partner in raising their child. Perhaps our parenting arrangement isn’t all that different from theirs. However, I don’t think that this is what people mean when they refer to me as a single mother. Parenting with a partner is easier than parenting alone. Sure, partnering takes work and commitment, whether or not you see your co-parent on a daily basis. There are constant compromises and course corrections. Unlike a single parent, though, we have two incomes. I know that L will eventually come home, and I can take a nice long bubble bath without a worry in the world. I know that he will see to the girls’ spiritual upbringing, which I cannot. I know that if anything were to happen to me, my daughters would be all right. So please, don’t give me credit I don’t deserve. Tell the next single parent you see that you recognize that they’re doing the most difficult job in the world alone, and probably very well. I was reminded of this post by Elizabeth‘s comment on lunchldyd’s post earlier. What a difference a few years makes! My main point remains the same. Taking care of the day-to-day business of parenting by oneself for a while with a co-parent in the picture is completely different than single parenting. I prefer the term “solo parenting” for that temporary period of flying solo while a co-parent is away. However, being married doesn’t guarantee that you have a co-parent. A few months after I wrote the post I quoted above, I realized that nothing I could do could get my now-ex to engage with the family. It would be another 3 years before he left us, but I had no emotional or childcare partner during the slow death of our marriage. I did still have his income contributing to the family, but I had entered a realm adjacent to that of the single parenting world. That shadow realm was far tougher than my current reality as a card-carrying single mom. (If being the Single Parent Coordinator for Multiples of America doesn’t grant me a membership card, I don’t know what would!) I was trying to rescue a broken marriage. I still had to budget for the needs and habits of another adult. I had to try to shelter my children from their father’s emotional unavailability. And I had to try to raise them in his faith, not my own, without any participation from him. Yes, things are tight on the money front for us, but not because of the loss of my ex’s salary. The financial straits we’re in just now were born of the expenses of our custody battle. For me—and I speak for myself alone—single parenthood is the easiest of the three modes: co-parenting, transition, and single parenthood. That whole thing about needing L to raise the kids Christian? Pshaw! Just yesterday, J asked him what Good Friday was and he couldn’t remember. So I, the atheist parent, was once again the one to explain that it was the day Jesus was crucified and it’s “good” not because of his suffering and death, but because of his willingness to bear the consequences of everyone else’s mistake rendered it holy. I still get input from those I respect who know and love my kids, but this is a far larger community than my ex would allow when we were together: teachers, mentors, friends and church members. Single parenting is far less lonely a path for us than co-parenting was. So, what are you? A co-parent? A single parent? Or are you in that treacherous realm in between? Angela talked about one aspect of children and marriage in her post this morning. When you and your spouse have children together, it becomes far more challenging to balance your priorities and give your marriage the attention it needs. There’s another place where children and marriage intersect: step-parenting. When you fall in love with someone who is already a parent, or when you’re a parent who falls in love anew, the stepparent role is a difficult one to navigate. 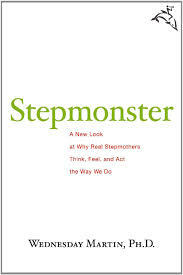 Wednesday Martin’s book Stepmonster: A New Look at Why Real Stepmothers Think, Feel, and Act the Way We Do can help. As you can tell, this book is targeted at women. There’s a real reason for that. While being a stepfather is no walk in the park, stepmothers are burdened with impossible cultural expectations and tropes. Our children grow up thinking of Snow White’s as the archetype of a stepchild, the witch-queen as the model of a stepmother. That’s a hard narrative to overcome. The title of the book is a reference to this perception of stepmothers. When we hear “stepmonster” we often can’t help but envision a stepmonster. Martin is herself the stepmother of two who has managed to make it work, although it hasn’t been easy. As she writes in the introduction to Stepmonster, “Step-hell was for stepmonsters, and I wasn’t going there. Until I was.” She talks about how integrating a stepmother and stepchildren is inherently disruptive. The husband/father will get caught in the middle, especially if the children had been accustomed to having his time and attention to themselves. Martin points out that most research and writing on integrating existing children into a new marriage focuses on the children. The effort to make things work is expected to come from the stepmother. Little heed is paid to the stepmother’s needs and challenges. Any failure in a stepmother/stepchild relationship is blamed on the stepmother, although I think all of us know that our children are not always angels. A stepmother is not a mother. Yes, there are occasions in which a stepmother fills the role of adoptive mother, but these are rare compared to the stepmother who doesn’t quite have the right to discipline the children, the stepmother who is expected to love her stepkids as her own even though there’s no expectation that they should love her in the way their love their own mother. Possibly my favourite passage from the book is this one. It captures so well the unrelenting complexity of divorce, children and remarriage. 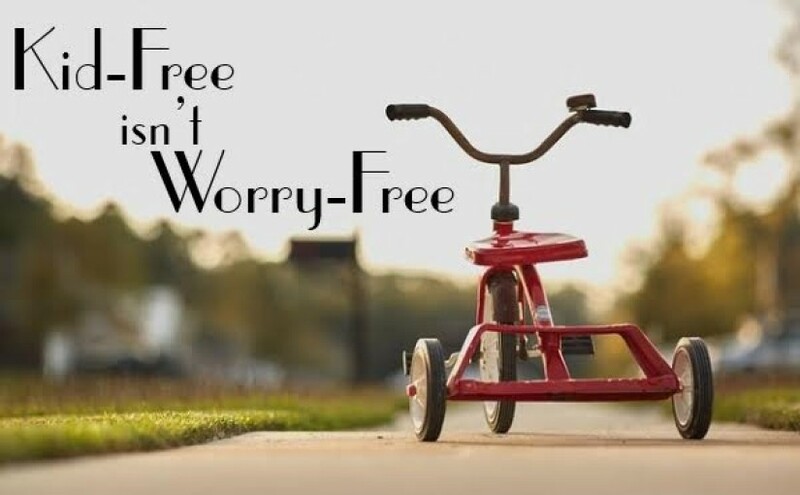 Though well-intentioned, the increasingly widespread belief that remarriage with children should be child-centric and change-free as possible can lead to stress for everyone involved. It is easy to see how it might be stressful for the woman with stepchildren. But research also shows that high levels of closeness and involvement between exes are as confusing and counterproductive for children as are high levels of conflict. Children are likely to wonder, “If you like each other so much and get along so well, why did you get a divorce?” and feel profoundly perplexed about what exactly makes a good relationship. I wasn’t the target audience of this book. It is intended for stepmothers and stepmothers-to-be. I picked it up, however, for insight into how I could ease my daughters’ relationship with their father’s new (and now ex-) wife. My kids hadn’t really even begun processing the reality of my divorce when their father remarried. We divorced in June of 2012, he moved in with his new girlfriend in September, and they were married in February of 2013. I needed to make this okay for my kids. I had reached out to my ex’s then-girlfriend, mother to mother, she having two young daughters of her own. We needed to put all four children first in this messy family reorganization. She was wonderfully receptive, but I didn’t feel like I could talk to her about my kids’ treatment of her without disrespecting my ex’s boundaries. So, I did what I do, looked for blogs and books that would help me understand the other side of this story. Stepmonster was the answer. Stepmonster has a lot of lessons for the brand new stepmother or the woman considering getting serious with a partner who already has children. A stepmother is not the stepchild’s mother. It’s okay not to have the unconditional adoration of a mother. A stepchild is not a stepmother’s child. It’s okay for the child not to have the love and trust in his stepmother that he has in his mother. The father/husband has a role to play. It’s not fair or appropriate to expect stepmother and stepchild to figure out where the boundaries lie. A father/husband has an active responsibility in making things work, respecting his new wife’s need for respect and boundaries, understanding his child’s misgivings about this replacement of her mother. What I took away from this book was the role I could play. Martin didn’t really spell it out, but reading between the lines, I could see that I needed to do everything in my power to avoid feeding the stepmonster image of stepmotherhood. I talked to my ex’s girlfriend, letting her know that I recognized that she would be an important part of my children’s lives, asking how I could help. I thanked her for every gesture she made to bring my children within her family, and she made many. She even went toe-to-toe with my children’s father, insisting that they needed to feel like they always had a place in their home, even if they were there only rarely. She insisted that they be allowed to have toothbrushes at their apartment. She set up a second bunk bed in her daughters’ room with my daughters’ names on it. She took my daughters to visit her parents at Thanksgiving, and her mom treated them no differently from her own granddaughters. I’m not a jealous type, so that came easily. I know that some mothers fear that a close bond between children and their stepmothers threatens the mother-child bond. I just don’t see it that way. My kids have plenty of love for both each other and me. Why couldn’t they love their stepmother too? In part, I’d learned from my own experience as a stepchild. Well, I’ve never knowingly met my stepmother of 20ish years, so perhaps it’s overstating it to call myself a stepchild. But I do know that the bitterness and venom that my mother spewed about my father’s girlfriends and the woman he eventually married did nothing but make me resent my mother and perceive her as being petty and selfish. It certainly didn’t make me love or trust her more. I promised myself that I would not allow myself to feed into what Martin calls the “typical stepmother conundrum”: “the husband’s ex who wants it both way, giving us responsibility but not granting authority.” It was easy to keep boundaries with my ex; I was accustomed to taking care of business without his help, since he’d been deployed overseas for half our marriage. I was always the one who fixed plumbing issues and sealed the countertops, so I didn’t look to him for that stuff, although there was one time while we were waiting out the 90 days for our divorce to be finalized that he helped me look for my keys. (The cat had decided that they were toys and shoved them under a stool.) Our boundaries weren’t without issue, however. Our elderly neighbours were irate on observing me packing up my house to move without my ex helping watch the kids or lift some of the heavier boxes. I didn’t know 80-year-old Hispanic women possessed the colourful language I heard on that subject! Martin cites the following statistics: the divorce rate for couples in which one partner comes in with a child or children is 65%. When both partners already have children, it’s a depressing 70%. Only 5% of survey respondents considered stepchildren to be an asset to their marriages. Stepmonster gives some advice on beating those odds. Just as in our post Finding Time for Romance When You Have Kids this morning, she argues that the marriage has to come first. Time alone is essential. Convincing your partner of this isn’t easy, but it’s critical. Having a child together is a wonderful thing, but it won’t decrease tension at all. It will increase it. A stepchild might adore his half-sibling, but that doesn’t mean he won’t resent what that sibling represents. Unfortunately for me and my daughters, there wasn’t much in Stepmonster to help guide me on how to handle Daddy’s second divorce in less than 2 years with my kids. When J expressed her disappointment at the loss of her stepmother and stepsisters, Daddy told her, “You just need to forget them.” I knew that wasn’t the answer. I didn’t need a book for that! I reached out to my ex’s new ex and asked her if she’d be willing to maintain casual contact between her daughters and mine. She agreed. On the bright side, post-divorce isn’t nearly as much work as a good marriage! Any stepmothers out there? Does this book sound like something you’d want to read? 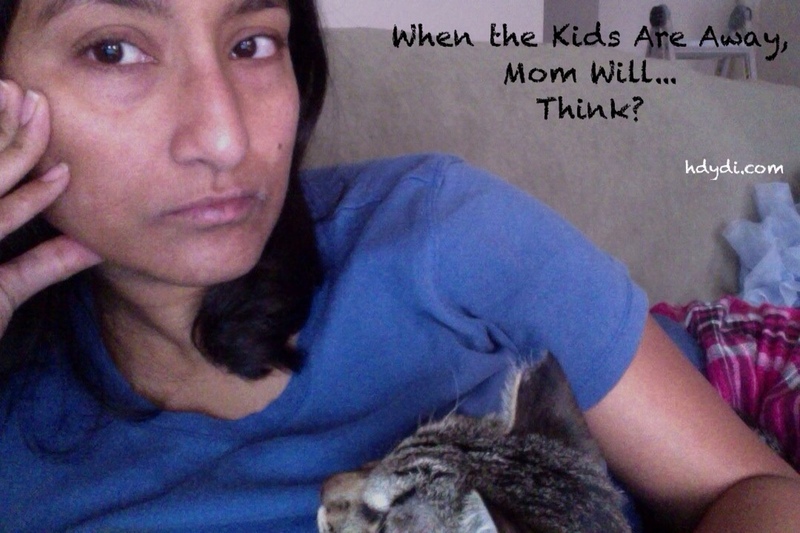 When the Kids Are Away, Mom Will… Think? My daughters spent Christmas with their father and his extended family in Washington and Oregon. All told, they were away for 21 days. They’ve spent time with their Dad since he and I split up, even overnight, but never anything so long as this, and never far enough away that he couldn’t bring them home early, which he frequently did. This was the first time in four years–the very first time since I’ve officially been a single mother–that I wasn’t on call. It just so happened that this time coincided with my annual vacation, when the university at which I work was closed. For all but two of the days that my daughters were away, I was off work, my time to be spent as I wished. As you might imagine, I had grand plans for my 19 days home alone. I would finally unpack the last of the boxes from my move nearly a year and a half ago. Maybe I would even find my swimsuit! I would replace some of the plumbing in my bathroom and wash all the carpet in my home. I would get caught up on laundry and bake in preparation for our annual cookie decorating party and Girl Scout troop gingerbread house event. I would get a massage and reorganize my kitchen. I would clean the children’s room from top to bottom and restore our spare room to a guest room from the little boy room it would no longer be, my attempt to adopt having failed earlier in the year. I spent the first two days cleaning like a crazy person. My living room became a pleasure to be in rather than a reminder that I was behind on laundry. My kitchen counters returned to a functional state. 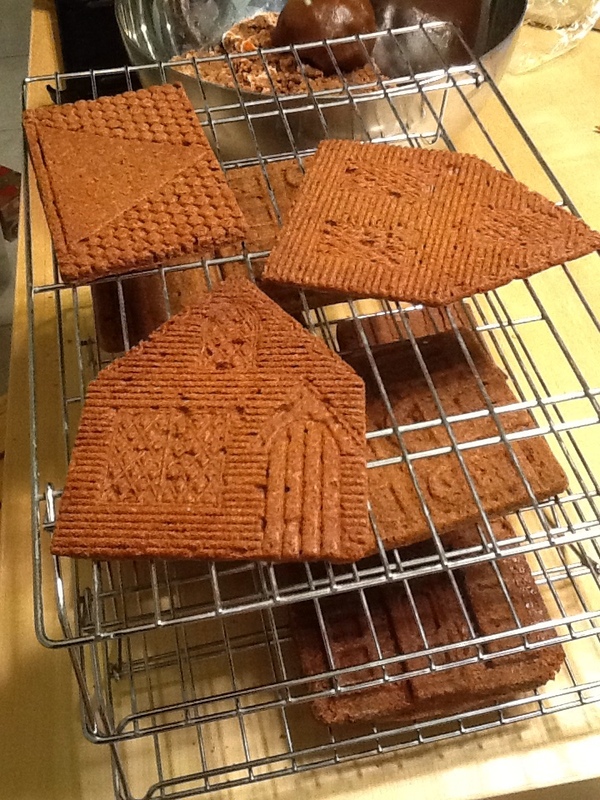 I baked for fun, rather than under the gun. I sat by the fireplace and read by firelight with a cat in my lap. After the first frenzy of cleaning, I found myself doing a lot of reading and writing on parenting and other matters, processing getting dumped (in March 2012) and my ex-husband’s rapid remarriage, the end of my army wife career, and the genuine preference I have for romance-free life. It was therapeutic, thinking, without my daughters’ everyday physical and emotional needs front and centre. Don’t get me wrong. I feel plenty guilty for all that I failed to accomplish during my 19 days of liberty/missing my kids. I feel guilty despite knowing that I needed the time to grieve the demise of my mother-father-and-two-kids family, grieve the loss of my relationship with my former in-laws, and accept the knowledge that I have only myself to rely on. After the highly scheduled life of a single working mother of schoolchildren, it was foreign, but necessary, to ignore the clock and calendar and just be. I think I have more of a sense of self now than I’ve had in years. I think I’ll be a better mother for taking this time to just be. When was the last time you took a moment for yourself, to just be? 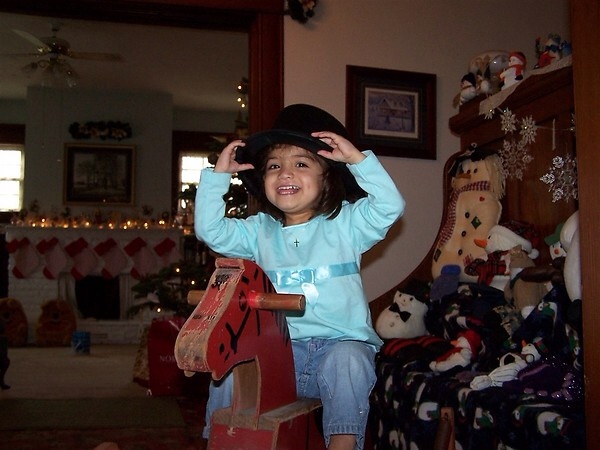 My kids are spending the holidays with their father at their paternal grandparents’ house. Without me. This is just one of the realities of parenting after divorce. This year, I’m home in Texas while my girls are in Washington state, their father getting a little break from North Carolina to visit his childhood home with the kids. I’m the custodial parent. I don’t pretend that my 3 weeks of long-distance parenting makes me an expert on the subject. I get to be there for the day-to-day realities of homework, dance lessons and play dates. 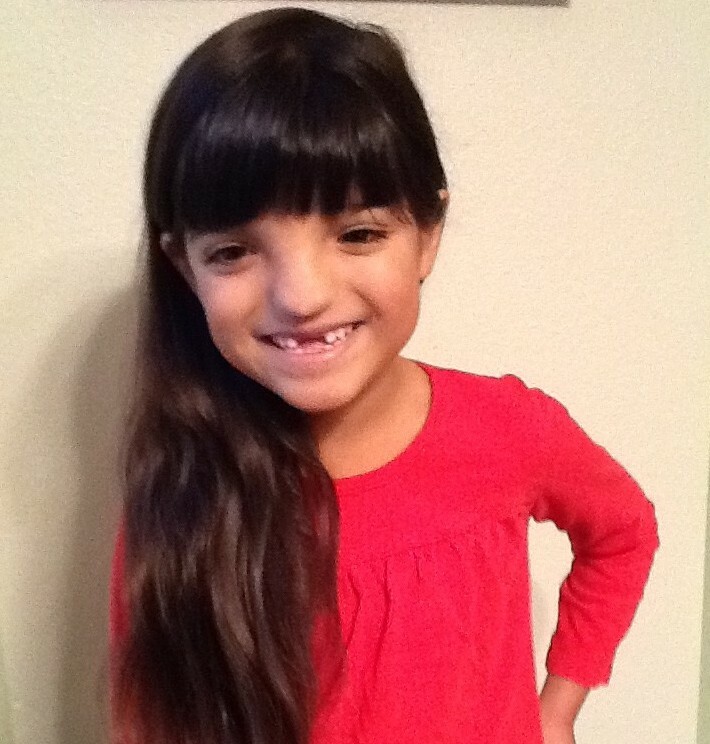 I get to meet all the kids’ friends, attend school performances, and nurture friendships with my girls’ mentors. I get to go to church with them and witness their arguments. I get to play Tooth Fairy and nutritional consultant. I get to do the bulk of parenting, simply by virtue of physical proximity. I get to be the one to raise our children. That can’t be easy for my ex-husband. Communicate with your children every day. Every. Single. Day. If you can’t telephone, write to them. If you don’t know their address or they’re too young to read, fill notebook after notebook and write to them for the day they’re able to read your letters. That day will come, and you will want to have been a parent every day of their lives. Foster individual relationships. Your kids have different needs and interests. Resist the urge to talk at them or to have the same conversation with all your kids. Listen to what each of them has to tell you. Remember what they’re interested in and who their friends are. My girls made friends with a couple of their grandparents’ neighbourhood dogs. You can be sure that I’ll be asking my babies whether they run into their new puppy friends again. Be honest. Yes, it’s tempting to present only your best self to your children, especially if you only get a few minutes each day. They can detect inauthenticity. I promise they love you despite your imperfections, just as you love them. Resist the urge to lecture. Your time is limited and alienating your children doesn’t gain you anything. Confirm that they want your help before offering it. They may simply want to tell you about a difficult moment or challenge they’ve overcome without asking you for a solution. I’ve noticed that this listening without offering solutions can be especially difficult for male parents talking to female children. That may be just my family, though. Don’t share information with others without your child’s permission. My daughter J needed help with a holiday homework assignment but was insistent that she didn’t want to ask her father for help. Being far away, it was very tempting to just ask Daddy to help her out, but all that would have accomplished would have been losing my daughter’s trust. Instead, I helped her as best I could over the phone, locating age-appropriate websites she could use for her research on the city of Seattle. 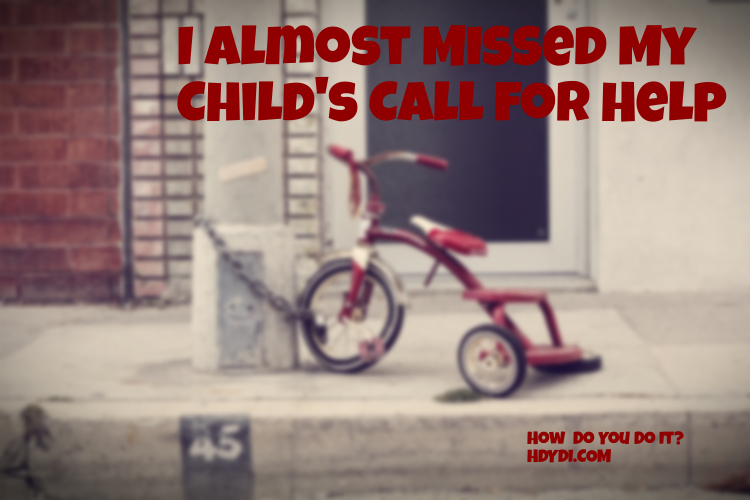 I encouraged her to ask Daddy for help, but promised that I wouldn’t do that for her. Be sensitive to their schedule. The fact is that you’re not there and your kids have things to do other than talk to you. When it was obvious to me that my conversation with my daughters was keeping them from going out in the snow, I cut our conversation short with a commitment that they’d tell me all about their snow adventures. Have your children ever been away from you? How do you parent them at a distance? 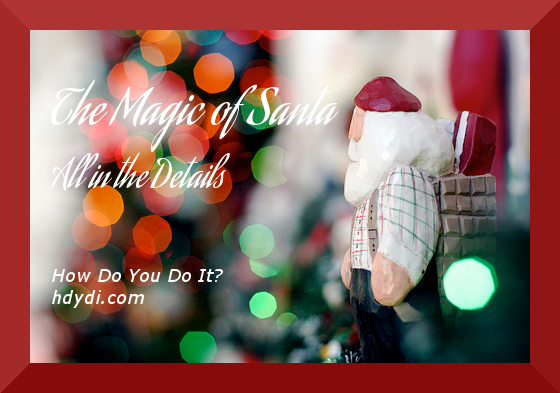 I used to feel torn about whether to bring the magic of Santa Claus into our family. After all, I’d committed to raising our children Christian. I worried that the focus on Santa and gifts at Christmas detracted from the celebration of the birth of Jesus. As an atheist myself, I found it hard to fathom setting up two fantastical myths for the kids to believe in, only to ask them to stop believing one when they were old enough. Santa and God, to my mind, were both white guys with beards who judged the goodness and badness of our behaviour and intentions, one rewarding us with gifts or coal, the other with Heaven or Hell. It didn’t make sense to me that my kids would continue to believe in God when they inevitably would discover that Santa was a communal practical joke. As with many of the joys of the world, my twin daughters eventually won me over. Santa brought the girls two movies (Mary Poppins and a Backyardigans DVD) and the ultimate gift: a bicycle each. Given what a hit the bikes were, I figured that Santa was now a beloved addition to our family. Not so. This morning, when M couldn’t find one of her dolls, J’s immediate suggestion was that Santa had taken it. We found the doll under M’s covers, but J still considers Santa to be a highly suspicious character. 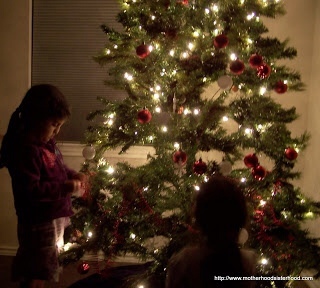 Every Christmas, my twin daughters, M and J, would receive gifts from both Mommy and Daddy and Santa. We didn’t bother with having Santa have his own wrapping paper or gift tags. The kids loved Christmas and that’s what mattered. When the girls were about 4, I think, they figured out what was going on. Mommy and Daddy were actually Santa. I confessed, but asked the girls to remember that Santa was the idea of generosity at Christmas. They needed to play Santa too, and keep quiet about their discovery so that their friends could continue to believe in Santa. They did pretty well, but my friend Amanda told me that J had tried to burst her son’s bubble. We had quite the talk. The following year, M and J had had enough of reality. 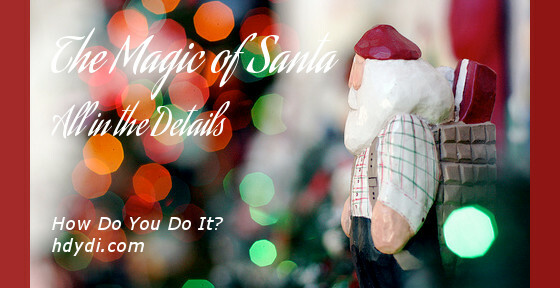 “I choose to believe in Santa,” M told me, holding my eyes with hers with even more intensity than usual. I got the message loud and clear. Now that I have marching orders from my girls to keep Santa real, I go at it with full gusto. It’s all in the details. My daughters are bright and want to believe. Together, we’ve come up with some pretty good rationalizations of Santa. Santa’s gifts are the goody bags from Jesus’ birthday party. Santa doesn’t use his own stationery or gift wrap. His sleigh is intended for gifts only. He uses whatever supplies are provided at the host home. For homes that lack fireplaces and chimneys, Santa has a skeleton key that works only on Christmas Eve. He cannot let himself in any other day, and non-Santa entities can’t make the key work. For divorced families in which kids celebrate Christmas twice, once on Christmas Day and once on another arbitrary date, Santa can make a special visit on a date other than Christmas Eve. He came to our house on December 14 and will be showing up to Grammy and Grampy’s house again on Christmas Eve. To make this work, the parent celebrating the non-traditional Christmas date must write to Santa. There’s also some behind-the-scenes work I have to do, as well as the occasion for quick thinking. Santa’s correspondence, whether in the kids’ school journals, is consistently in the same ink (brown permanent marker at our house) and in all caps to disguise my handwriting. I make note of at least one toy, book or movie that each child has requested when we’re out and about that I’ve had to deny because of time or budgetary constraints. I make sure that Santa brings one of those things to each child. I do my Christmas shopping online, since there’s no way for me to sneak out to the store without the kids. I don’t have anyone else to watch them without hiring a sitter or arranging a playdate. I suppose I could skip out during work, but my leave hours are rather limited after all the time I take off to attend school events and other extracurriculars. I buy myself a Christmas gift from Santa. This year I/he got myself an Otterbox cover for my iPad. It was something I wanted, needed and saved for, but I could wait a few days to open it alongside the girls’ Christmas gifts. I fill my own stocking. I got myself a book of crosswords from the dollar store, a candy bar and two Christmas DVDs the kids have been dying to see. They don’t need to know that the DVDs are really for them. They get joy from the magic of Mommy getting her own “surprises”. I found a great trampoline for $200 off in October or November and bought it as Santa’s gift to the kids. I didn’t have a great place to hide the massive box, so I just stored it in the garage with the label side turned out of view. After over a month of it hiding in plain sight, M noticed it on December 14, the day before we were to celebrate Christmas. I thought very fast. Santa, I told her, had asked me store it for him because it was taking up too much room in his sleigh. He would come by and put it under the tree that night. J was shocked. “Did you see him? !” No, I told her, he’d just left a note. On the subject of hiding gifts, your car trunk is a great place if you have kids who search for hidden presents. Their own closets are also remarkably effective hiding places. Do your kids believe in Santa? What are your tricks to keeping the magic alive? I predicted that M would explode into emotion at some point after her therapist’s death. When it actually happened after she heard about her Dad’s impending second divorce, I nearly missed the opportunity to talk to her about how she was feeling. My 7-year-olds share a room and each has her own lofted bed. Still, they sleep in the same bed most nights. Last night, after prayers, when they should have been settling in to sleep, they were still bickering. “M kicked me!” J informed me. “There is no hitting or kicking in the family,” I reminded them. “Sorry,” J apologized, almost convincingly. “She punched me first!” countered M.
“But it was because…,” M kept trying to defend herself. “I hate this family!” M yelled. “But I’m already settled,” J tried to argue. I kissed both children good night and sat down on the couch to clear out the spam comments on this site before I tackled the Neverending Laundry Story. M’s words were echoing in my ears. I don’t feel part of this family. Realization hit all at once. She was upset about family. She was upset about Daddy’s divorce and confused about her standing with her stepmother and stepsisters. Her anger wasn’t directed at her sister, or even me, at all. We were the safe people in her life; she could act out with us. The family she didn’t feel part of was the bigger family, outside the safety of Mommy and Sissy. I know that this is how M processes big emotions, with a massive explosion that makes way for her readiness to process things. Even knowing this, I almost missed it in the rush to bedtime, in my focus on M’s lack of self-discipline, in my quest for just treatment of my daughters. I quite literally ran across the living room, down the hall, and into the girls’ room. They were both still awake. I climbed into M’s bed and lowered my voice to speak to her. We talked and talked and talked. She told me about her confusion, her sadness, her anger. She told me that she was disappointed in her daddy. She told me she was embarrassed to tell her friends that she had two divorces. She told me that she didn’t think they gave their marriage enough time. She wondered why her stepmother hadn’t realized what Daddy’s being a soldier would mean before they got married. She wondered if her stepsisters would still love her. She wished her relatives weren’t all so far away. She wished people she loved who weren’t her relatives weren’t all so far away. She has more insight than she realizes. Our discussion on her feelings of divorce slipped seamlessly into the other subject that’s been bothering her. “I’m not little!” she told me, offended. “What do you mean, ‘despite your looks’?” I asked, knowing full well what she meant. “I’m not exactly like him, though,” M mused. “Some people scream when they see the character,” M told me. “No one would do that to you.” I was relieved to have something positive to offer. I almost missed M’s call for help in the midst of the daily grind. Silly me. I thought that if I made my life as stable as humanly possible, I would be able to maintain my daughters’ sense of security despite my abrupt divorce nearly a year and a half ago. I thought I had parenting through divorce figured out. I don’t control my daughters’ world, though. My job as a mother is to give them the tools they need to navigate life’s challenges, not to keep them from experiencing them. It’s so tempting, though, to want to keep them away from heartache, that it’s a good thing that hiding my babies away isn’t a real option. On the night before Thanksgiving, J and M learned that their father was getting divorced again, this time from the stepmother they’d come to love in the year and a half since she entered their lives. He told M and J that their stepsisters were no longer their sisters. When J countered that we’d already bought their Christmas presents, he told her to tell me to return them. I quickly told her that she and her former stepsisters could continue their relationship regardless of their parents’ marital status. My ex-husband texted me his ex-wife’s address as soon as he got off the phone and we’ll be dropping their gifts in the mail. I can’t say I agree with my ex’s choice to explain the entirety of his second divorce as being his ex-wife’s choice. While he was the one to leave me, I felt that it was important that my daughters see me take responsibility for my own shortcomings. To each their own, though. Our daughters are smart and observant, and I imagine that it was very hard for him to answer their questions. I’m used to talking to them openly and honestly and it still took a year before J did finally got me to admit that I had agreed to our divorce, but not wanted it. The girls had practical questions. What had happened to the bunk bed with their names on it at their stepmom’s house? Were stepmom and stepsisters still living in the apartment they’d visited? Would they ever see them again? Why had this happened? Children always want to know why, and they always think it’s their fault. I reminded my daughters of the book Was It the Chocolate Pudding? and that divorce is never a child’s fault. I didn’t hear them blaming themselves, but I wanted to be sure. Both girls told me that they didn’t want to tell anyone about Daddy’s second divorce because they were embarrassed. They were both especially concerned about Divorce Club, the school support group for kids of divorce. They wanted to be honest but didn’t want to talk about it and felt torn. I asked J whether she’d be willing to tell her teacher and she said yes. I called Mrs. H right away, as she celebrated Thanksgiving Eve at her parents’ house. J came away from that conversation feeling much more safe and closer to being ready to talk about the divorce with others. We were all reminded that people don’t have to officially or legally be our mothers to love us as if we were their daughters. My little girls are 7 and they have been through things that would have broken adults. Their resilience puts me to shame. The day after they had their hearts broken yet again, they threw themselves into a joyous Thanksgiving. We had a genuinely happy day, although Daddy’s most recent divorce did come up in conversation a couple of times. At bedtime, I reminded the girls to say their prayers. I know there will be a day when my child no longer needs me, and the teen years before that when she no longer wants me. For now, though, I’ll fill my role as her stability, strength and guide to the best of my ability. My sweet M doesn’t quite have her sister’s emotional awareness or talent for heart-melting one-liners, but I know she shares J’s strength and sunny outlook. I hope that she also feels that I give her strength and understanding. I do my best, as every mother does. Have you ever had to discuss someone else’s divorce with your children? How did you approach it?